It Is A Pity That I Am Not The Mother Of This Angel. 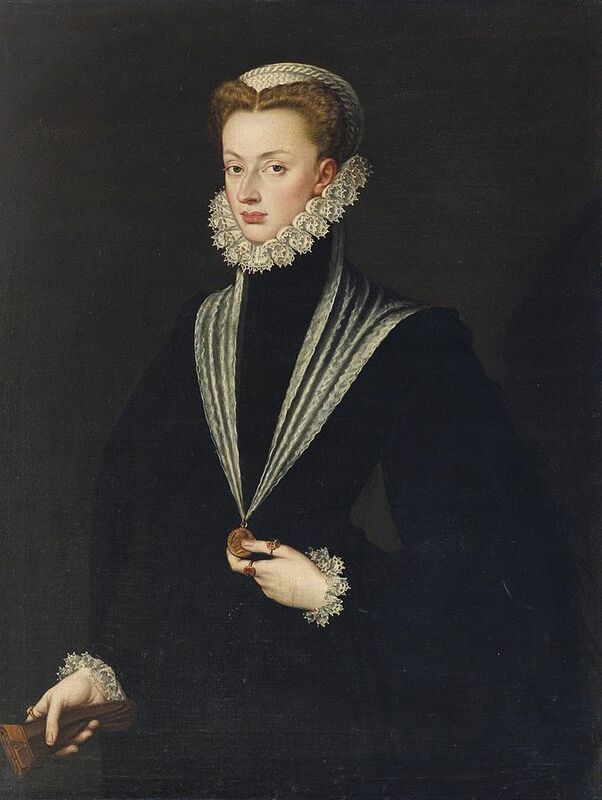 Infanta Juana of Spain, Princess of Portugal, daughter of King Carlos V of Spain and Isabella of Portugal, wife of of Juan Manuel de Portugal, mother of King Sebastian I of Portugal, 1559. 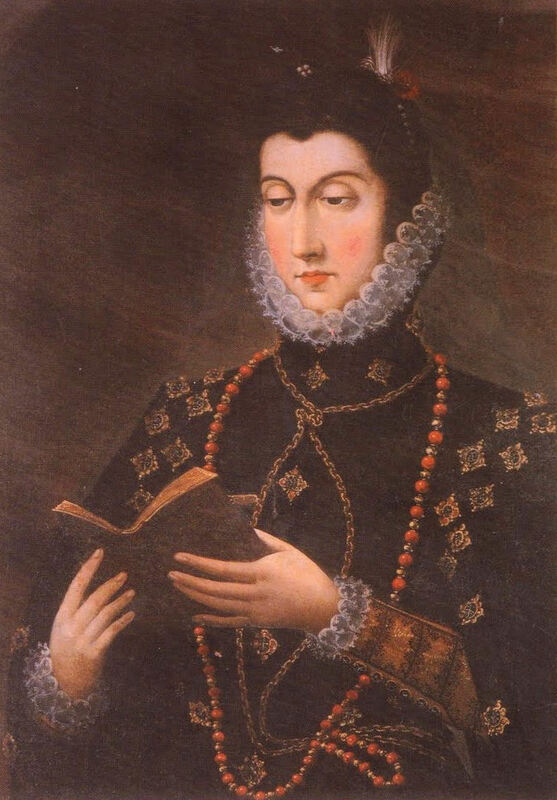 The Infanta Doña Juana arrived in Valladolid as Governess of the Kingdom very soon after D. Philip left, and four days later Charles Prevost came unexpectedly to the convent to fetch Jeromín to continue his journey. They arrived at Medina de Rioseco in two stages, and slept that night at an inn in the outskirts. The next day, late in the morning, they set out by the main road to Toro, and after half an hour’s journey they could descry standing against the horizon of vast plains a great castle, flanked by four towers, a large village, and two churches lying at its feet. Charles Prevost called the child’s attention to it, and pointing to the place said, “That is Villagarcia. You will stay there, but I must go on much farther.” Drawing the child towards him, and seating him on his knee, he told him very kindly that he had come to the end of his journey; and that in that castle he would find a great lady who was very good, and who would be a mother to him, and, as such, he was to obey, love and respect her, and profit by the lessons that would be given him, and give a good account of himself in the service of God and the study of letters and arms, and not leave the castle without becoming a learned cleric, a great preaching friar, or a brave soldier, according to the vocation God would give him and the advice of his benefactors. Jeromín listened to him with astonishment, never taking his beautiful eyes off him. Charles Prevost, who noticed that, as they got nearer to the castle, the child grew more and more uncomfortable and shy, took him again on his knees and told him not to be frightened when he saw the lady, but to greet her with the respect and reverence due to her rank. They had already reached the castle, which was at the entrance of the village on the Rioseco side. To distract the attention of the child Prevost made him notice the massive towers, the strong turreted walls with loopholes for artillery, and the flag which waved from the tower of homage, announcing to travelers, according to ancient and lordly custom, the presence in the castle of the masters, and the offer of free and safe hospitality to all those who asked for it. 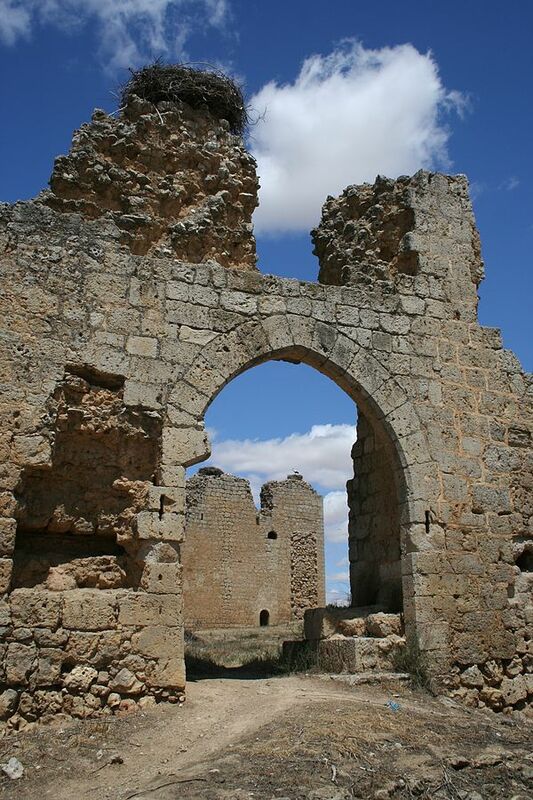 The ruins of the castle of Villagarcía de Campos. Photo by Josemanuel. The castle had a fortified gateway which still stands, with a drawbridge over the moat, and another of a later date towards the village with a gentle slope up to it which served as an entrance. Prevost’s little Flemish cart went in by this way and entered into a big square courtyard, a real parade ground, which was formed by the two northern towers and the two walls on the east and west, the first precinct of the fortress. 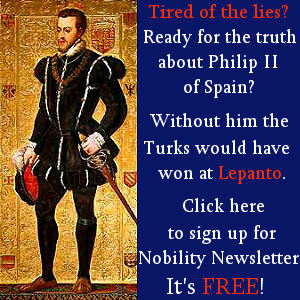 Several grooms came out to receive him, and a grave, bearded squire with his doublet emblazoned with arms and a big sword of the time of the Comunidades. He made Jeromín and the Fleming enter into the second courtyard through heavy iron gates; then they found themselves in another court of elegant proportions, really that of the house. It was formed by two ornamental cloisters, an upper and a lower one, with slender columns, the top one shut in by a balustrade of stone. There was a big well in the middle of the court, with a great chain and two copper buckets, and the rest of the space was covered with little paths and box bushes, except at the foot of the cloisters, where it was paved. From this lower cloister there was a wide staircase of white stone which Jeromín mounted trembling, not realizing what was the matter with him. At the first landing he became dazed. A group of people hurried down and became confused before the dazzled eyes of the child, as if they flickered like the rays of the sun which was shining on them—a majestic figure dressed in velvet with things that sparkled—a tall Dominican friar—two duennas with white caps and black shawls—some women—several men. Jeromín became giddy and everything swam before his eyes, he only saw that two hands of alabaster were stretched out towards him. 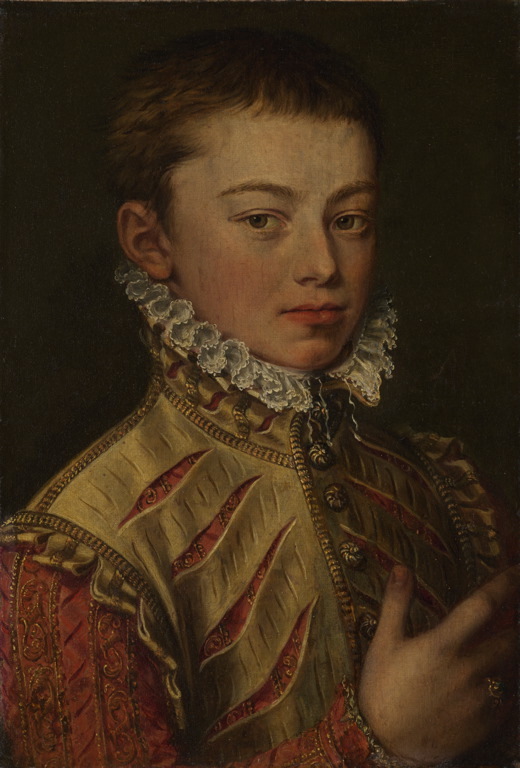 The boy, hardly knowing what he was doing, only remembering that Prevost had told him to greet the lady with great respect, fell on his knees, joining his little hands as Ana de Medina had taught him to do before the altar of Our Lady of the Angels.